WooCommerce is a free e-commerce plugin for WordPress that has an extensive range of functionalities to customize your online store. WooCommerce is one of the most popular e-commerce plugins, which allows you to create beautiful catalogs with adaptability and scalability at a lower cost. Are you looking to create an e-commerce website at an affordable rate? Equipped with a talented team of developers, 2:45Tech offers high-quality website development services at affordable rates with WooCommerce that is bound to help you build the traction for your business. We create websites that provide a seamless experience for visitors to browse, add items to the cart, and make payments as fast as possible without any hiccups. 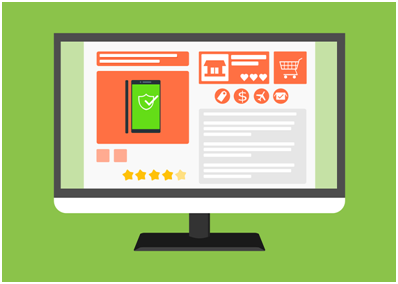 With various customization options available, our team will make sure that you get the best website possible that clearly reflects the goals of your e-commerce business. The websites we create are easily scaled and flexible to change and adding countless products, customizations, deals and discounts, etc. Our high-performing websites help our clients build their businesses faster, establish an image of credibility, and get customers to come back for more. Why Choose WooCommerce for Your E-commerce Website? Today, more than 42% of e-commerce websites are powered by WooCommerce. Businesses choose WooCommerce because it’s easy to use, easy to understand, and developers are constantly improving the platform every day. We offer robust, end-to-end WooCommerce website development services for your ecommerce portal that makes buying your products a snap. Our exclusive range of WooCommerce services spans from Quickbooks integration to long-term ongoing support. Our process starts with getting to know your business, understanding your competition, and defining the scope of your ecommerce website. We find the best way to create your online store so your visitors are easily converted from visitors to customers. We take into account all your requirements and develop them in a way that attracts more visitors and helps you become an online success. What Can You Expect From 2:45Tech? Our expert team of developers design websites that support your business model and your business objectives. We highlight the credibility of your brand up front to create trust through expert website design. The majority of ecommerce websites are being accessed from mobile phones. Hence it is important to have a responsive design that is compatible with all devices. Our professional developers will create a website that works as intended in all circumstances — mobile, tablet, and desktop. We not only create strong websites, but we also design customized themes exclusively for your WooCommerce website. Your brand is unique. Shouldn’t your website design be, too? Do you want to migrate to WooCommerce but are afraid of losing customers or data? Our team will guide you through every step of moving your existing ecommerce website to the WooCommerce platform. Our team of advanced programmers can build modules customized to your online store for your unique needs such as product pre-ordering, custom checkout models, pre-payment models, purchase order models, etc. There is nothing we can’t do! We provide ongoing support services for your WooCommerce website to keep it up-to-date and running at all times. There is nothing we can’t do for you: product updates, checkout process enhancements, distributor pricing matrices, multi-store setups, reporting, and more.